We have all heard the old saying “You never get a second chance to make a good first impression” and this is especially true in the competitive arena of real estate. Your goal as a selling agent this year is fairly simple: you want a buyer to purchase your client’s property quickly. The tricky part is how to execute that plan with maximum results and money in your client’s bank account. It is human nature to place a higher value on things we are attracted to; whether it is a fabulous pair of shoes, a sleek sports car or a new place to call home. The more attracted potential buyers are to your client’s property, the more value (and money!) they will ultimately offer for it. First impressions count. If you want buyers to make an offer on your listing, they need to love it and this all starts with attraction at the curb. The exterior of the home is the first part to be seen, so make sure it stands out – in a good way! In the spring and summer months, make sure your clients have their lawn cut before every showing, their hedges trimmed regularly, and the garden beds should be free from weeds and filled with colorful flowers or bushes. 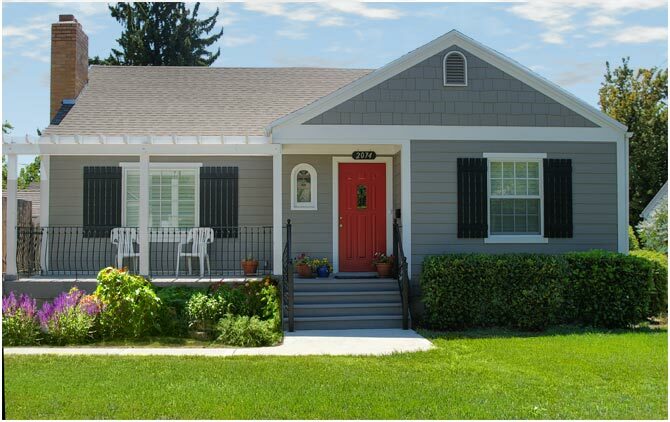 Paint the front porch, clean all of the windows, install a new mailbox or replace the exterior light fixtures. Make sure the driveway looks inviting by adding fresh gravel, having it re-paved or simply cleaning off the oil and grease stains. The front door is another opportunity to make a great first impression. Whether the home style is traditional, modern, retro, country, or anything in between, there is a front door out there for your clients. Take the time to research all of the various door styles, materials and colors before your clients make a final decision. If you get it right, buyers will be chomping at the bit to cross the threshold. The goal in the outdoor space is to have the home look eye-catching, well-kept and inviting to buyers when they arrive. Once buyers are attracted enough to walk through the front door, you want them to fall madly in love with everything they find inside. Kitchens and bathrooms have to be spotless, functional and pleasing to the eye. There is no place for compromise here because these are the room that truly sell houses. If buyers see cracked tiles, smell bathroom mildew, are disgusted by the grime on your counters or feel dismayed at the poor condition of your kitchen cabinets and appliances they will not place a high value on your client’s home. This means low ball offers at best, or worse: no offers at all. Living rooms, rec rooms and bedrooms have to be inviting and warm. The perfect first impression in these rooms will have your buyer dreaming of entertaining friends, creating new family memories and having a sound night’s sleep. So remove all of the clutter, arrange the furniture to maximize space and minimize the decorations. Don’t use any scented plug-in products, open all of the blinds to allow the light outside to flood your client’s home, and create the overall impression that your client’s house is a relaxing space your potential buyer can call home. To seal the deal remember this final cliché, “Beauty is only skin deep”. While you want potential buyers to fall in the love with your client’s home aesthetically, it will be a short-lived romance if the property is truly only pretty on the surface. Almost all buyers will conduct a thorough inspection of every aspect of your home from the roof to the foundation. If the property inspector finds damage, structural flaws, problems with any of the major systems of the home or worse, shoddy DIY cover-ups it can put the offer in jeopardy. Be a responsible selling agent; ensure all of the regular maintenance on the home has been done by a qualified professional, and hire a professional to fix any repairs needed. Remember, you only get one shot at making a great first impression with a potential buyer, so be sure to get it right.